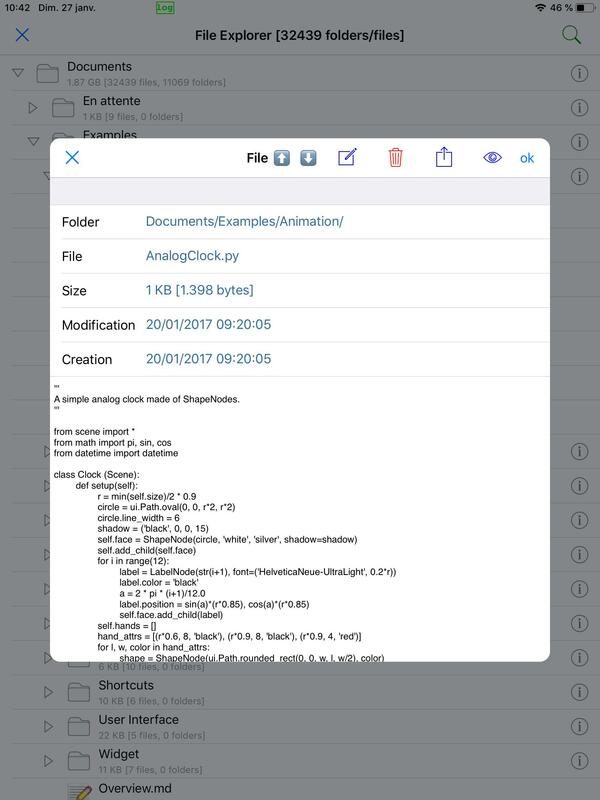 Is there any way for me to get Pythonista to show me the files I have created in my scripts? All this came about when I realised that I was starting to create detritus, and I am looking for a means of garbage file management. .Photocqrd .... who created that.???.. OH YES I remember, it was an early typo, that I corrected in the script but never dealt with as a redundant file created in error. 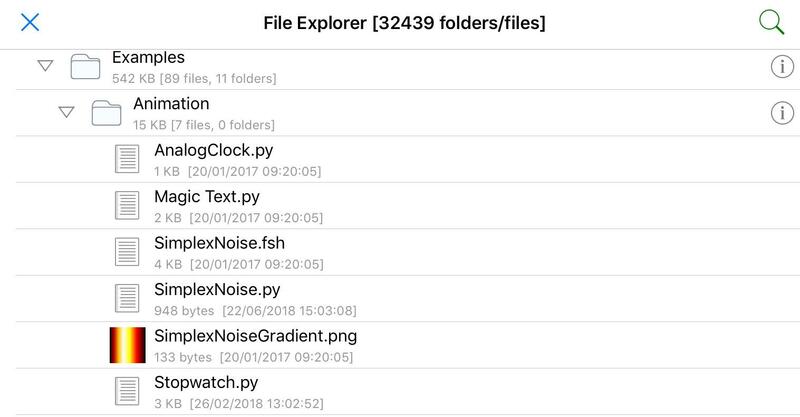 Most files will simply show up in the file browser (left menu). however files starting with period are hidden. If you install stash, ls shows all files. Adrius ... If you mean a graphical file manager, then no. Most people use stash for doing what your describe, since you basically get a nearly fully functional bash clone, complete with tar, zip, pip, git, along with cp, rm, mv, ls, and so forth. @adrius42 Try my File_Explorer, based on a script of @omz. Just quickly translated texts, thus forgive English errors. I use this explorer but it is not perfect nor complete. type ls -la in the stash command line. I didn't write phonemanager - that's humberry. This would also do what the OP wanted. Stash mimics the famous bash shell, variants of which is used in Linux, macos.